This session outlines how to conduct a market research and brainstorm business ideas and emphasizes on different ways you can develop your ideas while finding out what the target markets needs. No doubt, the best business ideas will come from you and will be based on your product and what the market is looking for. Before developing your business idea and implementing the marketing plans, you really need to discover whether there is a market for the product or service you have to offer for sale – as you don’t want to risk any resources. So far, you’ve been looking inward to come up with a successful business idea, now marketing research is the time to look outward to discover an unfilled need that you can meet with your products. What is a Market Research? No one can start and of course continue in business if he/she does not have a clear idea of what to sell, whom to sell to, and how to sell the chosen products or services. 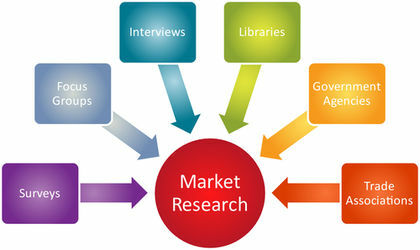 Therefore, Market research is the process of gathering, analyzing and interpreting information about a market; and about a product or service to be offered for sale in that market. Market research provides information about the past, present and potential customers’ details and buying profiles for the product or service under review. It includes planned research into the customers’ characteristics, spending habits, location and desired needs or wants. As a strategic market research company in Lagos Nigeria, Abbakin defines market research as the tool used to help business owners to make more informed decisions about an industry buyers, the products they want, where, and at what price they’re currently getting it. Why Conduct a Market Research? Market research is a vital function for any business that is willing to succeed in this harsh economy. It gives the business owner a direction to go in developing the right business marketing plan. Marketing research provides the specific information required for making strategic decisions on a business and its products. It tells companies whether they are meeting their customers’ needs and expectations; and also inform their ideas on how to tweak their service delivery efforts. It provides information on the key industry players and how to be competitive in marketing your own goods and services. It provides information on how to reduce the business risks, reduce sales decline and cost of doing business. Market research provides information on how to spot current and upcoming problems in your industry and anticipate possible changes. It provides information on how to identify sales opportunities within a market, identify changing buying pattern and policy thrusts of the government. As an entrepreneur who wants to run a successful business in Nigeria, you will need to learn about your customers, your competitors and your industry – and these are what a good marketing research can help you achieve. Now, here are some tips on how to conduct a market research, brainstorm and validate your business ideas while finding out what the market needs, where they need it, and how to deliver your products profitably. No small business can succeed without understanding its customers or target niche. This is because customers are the life wire of any business venture. As a business owner or marketer, you should be able to consider the people who you think are going to buy your product or service and where to find them. And if your product doesn’t appeal to a large market, then you may never recover the cost of bringing your business idea to life. A good indicator of a substantial market size is the existence of other products or complementary products or parallel market that aim to solve the same problem like yours business does. If a business is so revolutionary that not a single other product like it exists; this may presents a new set of marketing challenges and tactics. Your general customer research will help you identify these potential prospects which you will segment based on location, lifestyles, personal earnings, age, etc. Primary research is where the information comes directly from the source–that is the potential customers. There’s no better way to coming up with a winning business that meets people’s needs, than talking to the potential customers and finding out what they want. To get started, visit the nearby retail stores, go to the malls, local markets, and other offline or online marketplaces where you can meet and discuss with your target customers. Attend seminars, trade shows and exhibition events where you can collect useful market information via interviews, market surveys, or questionnaires. What do you like or dislike about the products or services currently on the market? What areas would you suggest for improvement? What is the appropriate price for the product or service? Many entrepreneurs fail to understand they’re actually going to sell benefits, and not ideas, hence they end up asking the wrong questions. While the benefits of a business idea are what motivate consumers to buy the products; these benefits will also motivate your team members, investors, distributors and retailers where applicable. 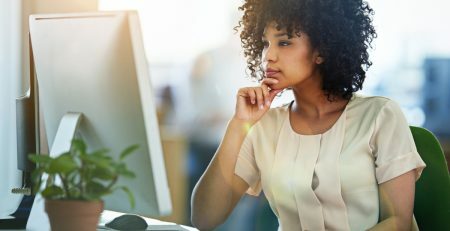 Your successful business idea should be unique, beneficial, valuable, significant, qualitative, reliable, convenient, faster and have a user-friendly interface, branding or packaging. What products or services do you like that you haven’t been able to find around? Is there a product or service that would make life easier for people? What business trends are happening that you can participate or mimic in a small way? Are there gaps in your current market that you can fill with your talents? Who and what can you see around your market environments? How can these factors influence your business planning? Take the time and document these answers and don’t fear about hearing the negative aspects of your intending or existing businesses. It is much better to be aware of them and face them early on. Your local and university libraries or the internet can be a great place to start your secondary research. Your secondary market research is usually aim to analyze already published data that target businesses in a particular industry. If your company does not have the huge amount of money to spend on specify market research, there is plenty of free information available to entrepreneurs on the internet and trade journals. For example, when you’re developing online businesses, you can use common web resources like search engines to gather quantitative information about a website doing your kind of business. This information can help you determine many factors, such as where the site’s visitors are coming from, how long the visitors are spending on the website and which page they are mostly landing on. Additionally, you can get useful information about identifying prospects through online business databases, business news, industry trends and company-specific business information. Secondary research also involves gathering statistics, reports, studies and other data from organizations such as government agencies, trade associations and the local chambers of commerce. The government institutions offer a wealth of market data and information about businesses, industries and economic conditions that can aid in conducting your market research. You find and get access to statistics on your industry, market index, economic indicators, competitors’ profiles, employment statistics, target customer base, and earnings/income levels from government agencies. You can also get a wealth of social, political and economic data from these reference sources. Irrespective of your place of residence, most county governments also publish population density, and distribution figures that can give ideas about current and future market trends and buying patterns. Your local chambers of commerce or business development agencies can also supply useful marketing information for free; including assistance with site selection, demographic reports, market analysis, reference materials and directories of local businesses. Some financial services firm and business regulatory agencies may also offer seminars on marketing and related topics that can help you conduct the best business research. With an eye out for unfilled opportunities, you can identify additional sources of information by joining your industry trade associations, reading business newspapers, books, and magazines. Again, talking to experts in your industry, watch television programs organize by such associations and listen to radio stations for business related topics and discussions will also be a great help. Irrespective of your type of business, it’s also important to understand the international factors that may influence your business. Today’s economy is now a globalized marketplace. Reports on trade issues, and investors activities in countries across the globe will help you get potential international markets insight for your products or services. You can use the internet and database searches from consulates or chambers of commerce to find information related to your interested country location, business industry and opportunities. Use the information to plan for industry and economic shifts. Identify potential growth opportunities in your market and increase the business profits through import/export trades. Keep in mind that your market research and business development are consistent efforts. You don’t have to stay in a business you started forever if the idea does not fit the needs of the market. However, you can continue running a business for a few years – until you come up with the best idea and/or you’re in a good position to start a more capital-intensive business of your choice. A good market research can be useful in monitoring the competitions in your global market, finding the best ways to mitigate business risks, and improving your performances. As you continue in your search for a viable business venture; put your business research antenna up – looking out for business opportunities and what good others are doing out there. You can connect with academic institutions, market research companies in Nigeria and other third parties or trade groups that gather and analyze research data about business trends and how to market a product. If you need help on how to conduct a market research in Nigeria, kindly get in touch here. Our team can also help you create and implement your next marketing plan. We work on commission projects and the role of our marketing research is pivotal to the 4ps of marketing in a given market segment. Historical data analysis are used to forecast future marketing trends on the condition that the economy remains stable for the period under review. It’s this article helpful? Share it with friends or leave a comment below. To keep the conversation going, follow us on Instagram, Facebook and Twitter: @abbakinglova. If you want to receive latest updates about business innovation and related topics, then subscribe to our Newsletters now.